By the way, this post includes spoilers without warning because my enthusiasm for this movie has deflated like a balloon punctured by a black arrow and I no longer care about preserving its mystique or hype. The first film cut off pretty much at the end of chapter 6, and chapter 7 starts with the dwarves meeting their temporary host Beorn in groups of two or three at a time, so I thought, great, they’ll have a natural way to re-introduce us to all the dwarves and their names. Instead, the movie starts with a flashback to Gandalf meeting Thorin in the Prancing Pony, (oh hai Peter Jackson reprising your cameo of carrot-munching Bree resident in the rain), and we never get the introductions at Beorn’s. Hope you remember your dwarf names from the first film! If not, it doesn’t really matter since they won’t be defined as individuals for the most part, (but if you do want a refresher watch this clever video starting at 3 minutes). Everything in Mirkwood was rushed or omitted; no partying elves luring them off the path, spiders quickly and easily dispatched, elvish imprisonment barely lasting a day instead of dragging out for months. I realize movies need to condense time that books can fit between a few words, but the skipping of canonical drama just to add all the ridiculous, unnecessary, tedious scenes we got later is not okay. I could have done with a lot more Thranduil. Tauriel shoots and fights like the badass warrior captain she’s been for hundreds of years, but isn’t allowed to care about anything more than boys because lady parts. The thing is, Tauriel does express that she’s concerned about the orcs getting more aggressive and that it isn’t enough for the Mirkwood elves to defend their own borders without regard for where the orcs will go terrorize next, so I don’t know why that wasn’t a good enough motivation for her character to have for all of her actions. I HATE that her primary goal becomes Kili. And I can only assume that her fate being wrapped up with his means she too will die in the next film, probably in a failed attempt to save/avenge him from his own fatal end. Perhaps the worst thing about the story as presented in this film is that it doesn’t even follow it’s own rules; the Master of Laketown supposedly has such tight-fisted control over the comings and goings of the city that the dwarves have to be smuggled in beneath fish, but then a whole passel of orcs gets in and is crawling all over rooftops with nobody noticing? I mean geez at least show them killing a guard or two if that’s how you want it to play out, but how the heck would no-one notice? I can kind of believe the elves sneaking in more easily since they’re quick and quiet-footed and all but even so, Laketown guards should know to watch for elves considering they’re neighbors. Also, why in the world would nobody in the town be willing to help poisoned and injured Kili when the dwarves were literally the toast of the town the night before?! Why would they need to come banging desperately on Bard’s door? That whole scene reeks of we-shot-this-one-way-but-then-we-added-stuff-since-we-got-an-extra-film-to-fill-so-it-doesn’t-totally-flow. The whole “only a rare black arrow shot from a special launcher can kill a dragon!” addition would be fine, except why take the one arrow out of its hiding place just to stash it in a canoe? And why wouldn’t the kid know about its existence anyway? Whatever, by this point I just can’t even with this movie. Azog the Defiler’s role is way over-inflated. And now they’re introducing even more named orc generals/captains/whatevers for me to not care about, in this Bolg guy. Why do we have more named orcs than female characters, seriously. Then we get (half of the) dwarves running the frick around Erebor with a secret plan as if dramatic tension can only be achieved by keeping the audience blind to the goals of the protagonists. Sorry your elven-magic-coma storyline got cut, Bombur, but hey, you got to be yanked around on a bellows chain at a giant forge, which is almost the same thing as character development, right? 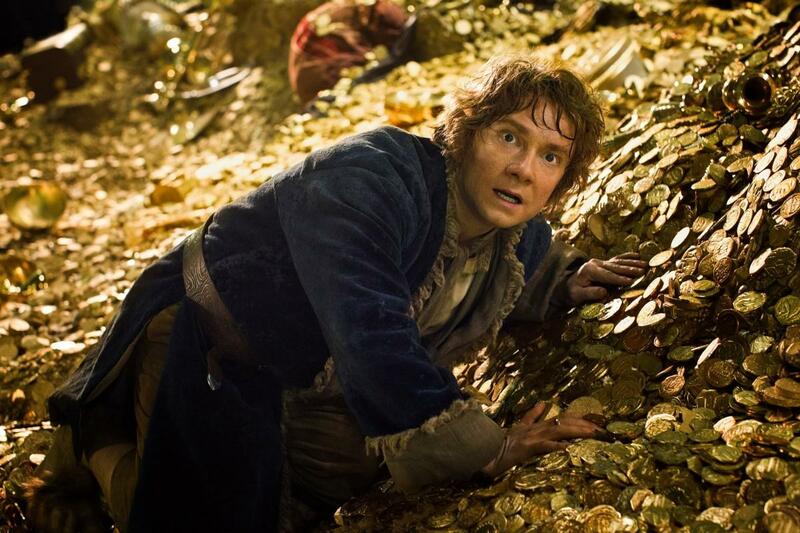 Hey Bilbo, why don’t you follow Thorin’s shouted instructions to keep running to lead Smaug to these random places like “the forge!” or “the Hall of Kings!” even though I don’t know how you’re supposed to know where they are being that this is literally your first time inside the underground maze of halls. There’s too much obvious GCI! Legolas’ contacts look weird and flat! Why is Gandlaf tripping out and seeing A Man within The Eye within The Eye within The Eye, and how am I supposed to be in suspense for him being locked in a cage surrounded by orcs when I not only know he’s going to survive to the end of Frodo’s quest, but I’ve also seen him pull the grab-a-moth-when-in-distress-to-summon-an-eagle-rescue move in two separate films by now so I assume it’s his next step. I mean, I know what’s actually going to happen is Galadriel et al will come bring some elvish ring-bearer pain on the old fortress, but even if I didn’t know that I wouldn’t be worried about what was going to happen to Gandalf. Just like I’m not in suspense about what’s going to happen to Laketown or Smaug, though the movie ends with the dragon flying off in a rage and Bilbo saying “whatever’s going to happen next? !” (Yes that’s seriously the last line before the screen blacks out and the credits song starts). It’s not that it’s a true “cliff-hanger” ending of suspense, (if this is a cliff hanger for you READ THE FREAKING BOOK ALREADY, it is very short and if you’re really that lazy you can just read chapter 13-19, that’s all that’s left,) but is a suspension of completing a story arc. Maybe there are elements in this movie that will add up to whole arcs when combined with the next film, but why should I sit through 2 hours and 41 minutes of non-story non-arcs? Seriously, what the hell happened here? There is no reasonable argument for stretching this story into three films if this is the kind of stuff they’re filling time with, other than “we can make more money with an extra film.” Well, I certainly don’t want to pay to see this again! When I go to a movie I expect to be given a story, not just a collection of scenes. When I watch a Peter Jackson adaptation of Tolkien, I expect epic, not trivial. The Hobbit: The Desolation of Smaug has shattered my trust in these movie makers and broken my fangirl heart. Haha, I so agree! They changed so much of the plot in Desolation, it just didn’t feel right. I didn’t always hate the idea, but now I feel that it doesn’t work (I don’t know what that translates to in Tolkien speak :P). “hey this story needs more female characters” does NOT equate to “hey this story needs romantic entanglements!” Sometimes I think that people try too hard to include female characters that plot is spoilt because they’re simply not needed. Not just Tauriel but the inclusion of female characters in general. Legolas, too, didn’t sit right with me in that movie. He felt all let’s-charge-around-being-arrogant instead of an actual 3D character. I dunno. There were so many things that didn’t make sense, plot-wise. And, hehe, Prisoner of Azkaban gif. I approve. 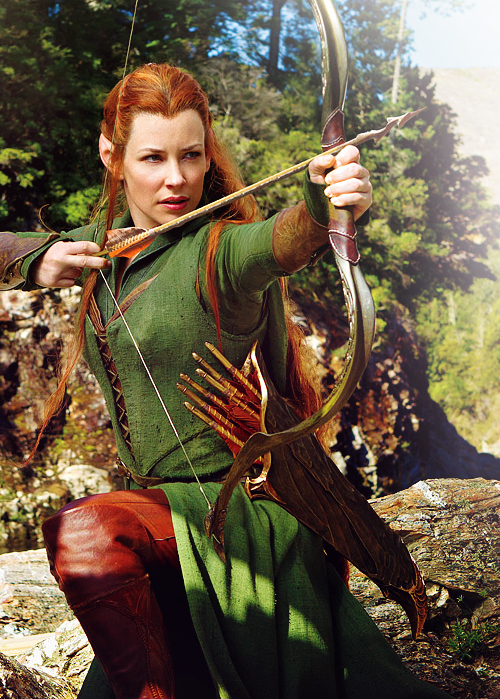 I didn’t hate this film at all, but the Tauriel stuff bothered me. Not her inclusion in the story; I had no objections to the nameless Elves of the book being rounded out and some being female. But the love story? Seriously? Personally, I can’t be having with the mushy stuff anyway – I am cold-hearted when it comes to romance (except couples like Faramir and Eowyn) but on a more plot-related note, having an inter-species romance story lessens the effect of the Aragorn/Arwen plot, not to mention Legolas and Gimli’s friendship sixty years later. Just no. I agree with you about the odd combination of extended new subplots and rushing through the six chapters of book material – and with regards to Beorn, they had one job: cast BRIAN BLESSED or someone with a similar build, appearance and manner. He barely got a hi-bye, which is incomprehensible when you’re adapting six or seven chapters into a three-hour film. All the same, I did enjoy the film a lot more than I had feared. I still think that the story would not lose anything by being either two long films or three normal-length ones. The films do best when they are taken straight out of the books, I think, and this one’s story was padded out. I enjoyed most of the padding, but was aware that it was padding. At least, as far as I was concerned, there were no alterations as egregious as Faramir’s character in The Two Towers or Frodo ordering Sam to go home in Return of the King. Short version: I agree with most of your points intellectually but most of them didn’t affect my enjoyment of the film. Except the mushy stuff. Yuck. I will say, though, that I liked the part where Thorin threw a weapon to take out the orc that was coming up behind Legolas, but Legolas never turned around so he never saw it and went on believing the dwarves were no good. Oh, this is sooo sad! I have to say I’ve never been much of a fan of book adaptations, cause I always feel like books are so much better, with THE ONLY EXCEPTION beeing Peter Jackson’s “Tolkien’s”, it breaks my heart! My reaction to the film was similar to your own but you have articulated it all so clearly! I was left with the impression that Peter Jackson does not like The Hobbit, but had no other vehicle available wherein to showcase his favorite characters from LOTR (Legolas, orcs, Sauron, orcs, Gandalf, orcs, Galadriel, orcs, Gollum, orcs, Elrond, orcs, wargs and oh yes, did I mention orcs?). I liked Tauriel ok, and if she and Legolas had peeled off at Laketown I would have enjoyed their addition to the story, but the elves and orcs in Laketown totally did not ring true for me, nor did splitting up the dwarf company as they set off for the mountain. Then too, while the scenes of Gandalf’s investigations were visually interesting, they interrupted the plot; making his forays explicit robs the film of the wizard’s mystery and the ominous sense that somewhere, something is starting to go terribly wrong: things not shown have a certain power that evaporates once they are brought into the light. Tolkien, a master story-teller, understood this and it gives his books a haunting quality. Additionally, there were way too many scenes where orcs were driving the action. This had already become formulaic by the end of the first movie, but it was ‘ho hum, more orcs’ half-way through the second, well-choreographed action scenes notwithstanding. The book’s dramatic tensions were far more varied and interesting. Plusses were Thranduil and the dragon. 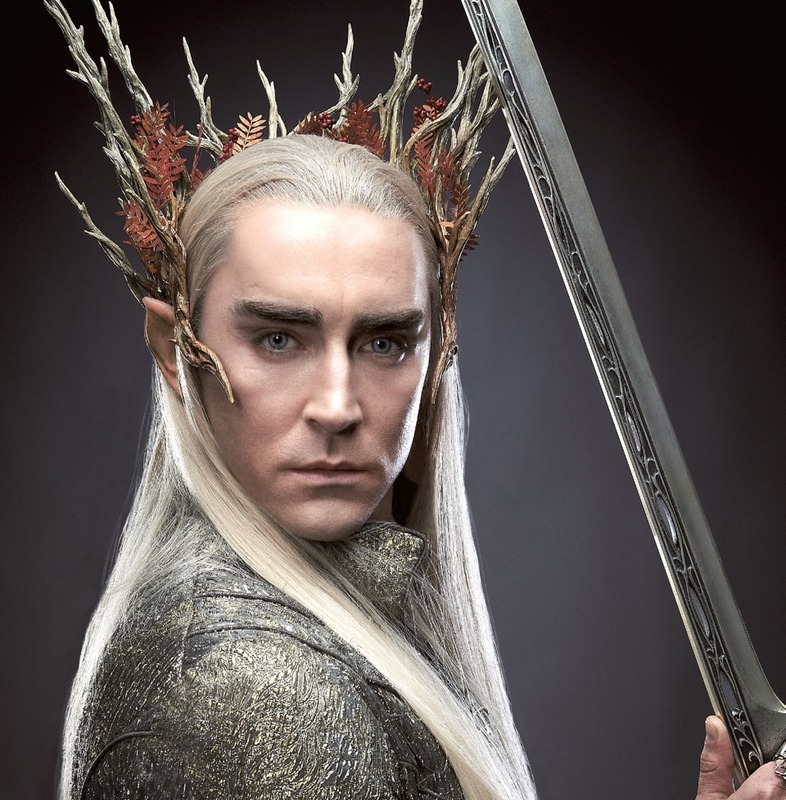 Thranduil was the one and only character I wished to have seen more of and Smaug saved the movie, IMHO, even though his scenes were mishandled. I may just try to get my mind wrapped around the idea these films are not ‘The Hobbit’ but rather LOTR AU fanfics and see if I can enjoy them more from that point of view.